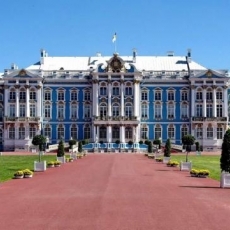 Catherine Palace is one of the largest imperial palaces in Tsarskoe Selo, and also one of the most majestic and amazing with its beauty. 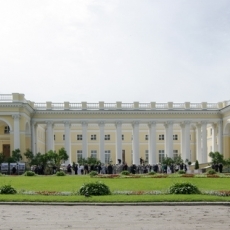 Creation of the palace started in 1717 by the decree of Catherine I. 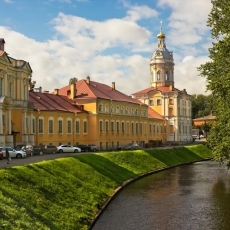 Initially, the project of the palace belonged to architect I.-F. Brownstein, but the palace construction was completes in different periods of time, also it was expanded and rebuilt under the direction of architects A. Kvass, C. Trezzini S. Chevakinsky, F.-B. Rastrelli, C. Cameron, V. Stasov and others. 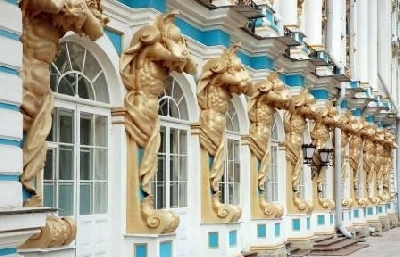 The palace, built in the baroque style, has the facades with columns and gilded ornaments. The fronts are decorated with the figures of Atlantes and other moldings. 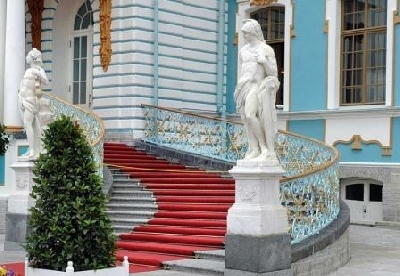 The interior décor of the palace amazes by its beauty and elegance of ceremonial and residential halls. 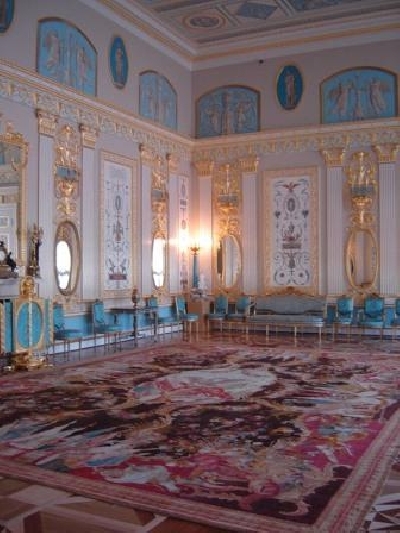 Currently, 32 rooms from the 58 rooms, which were destroyed during the war, were recreated. The main staircase, the front suite, Green dining, Service room, Blue entrance, Chinese Blue living room, Bedchamber and other halls and rooms reflect the preferences and tastes of the emperors and empresses, who lived here. 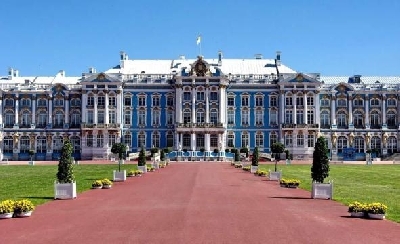 In Catherine Palace you can visit the exhibition "The Romanov dynasty in Tsarskoye Selo", which introduces the objects and materials, associated with the crowned owners of Tsarskoye Selo residence - from Elizabeth to the last Russian Emperor Nicholas II. Parade portraits are on view for visitors, as well as court-dress coats, furniture, bronze and porcelain items. 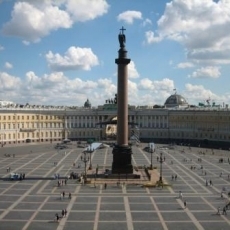 The exhibition "Alexander Memorial room I» is very interesting as well, the memorial things of Alexander I are represented there, which were preserved in the museum, and many of them are shown for the first time. 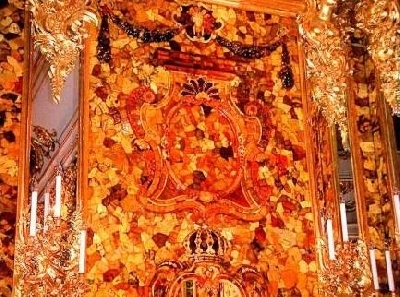 However, the greatest interest for foreign and Russian tourists is the Amber Room. 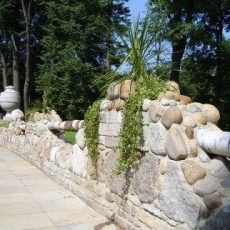 The origin and following histories are covered with a mass of myths and legends. 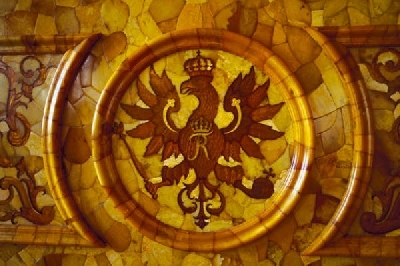 There is evidence that the Amber Room was originally designed for suburban residence of the Prussian Queen Sophie-Charlotte by architect I.-F. Eozanderom. However, her death has stopped works, and amber panels were not fixed in the palace of the queen. 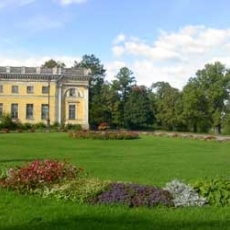 Then the architect decided to fix them in another palace - Oranienburg. However, here the panels were not fixed as well. 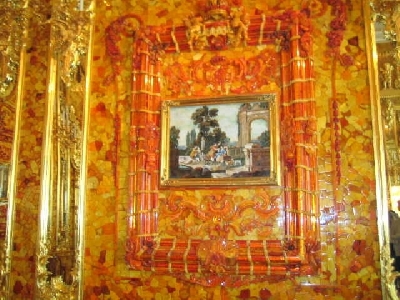 In 1712-1713s during the visit to Berlin, Peter I liked the amber panels. 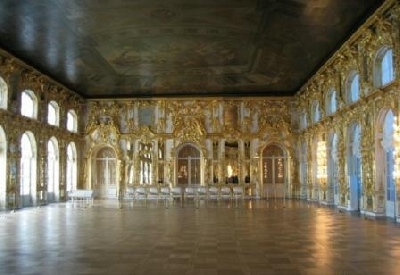 When Peter I met with Frederick William I in November 1716 in honor of connection between Russian and Prussian alliance, the Prussian king gave gifts to the Russian emperor, among which the Amber Room was. 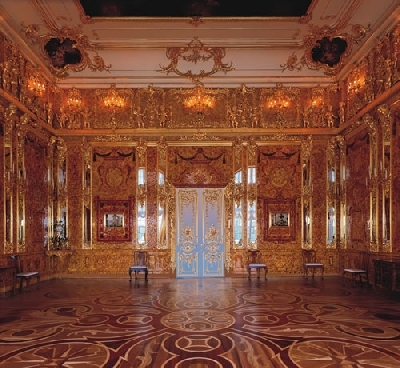 The Amber Room, which was finished in 1746, was used for official receptions. 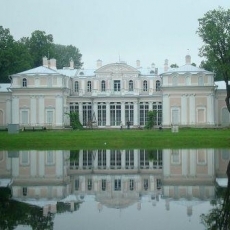 Although in reconstruction process of the Winter Palace, it was often carried from place to place. In July 1755 the Empress Elizabeth ordered to F.-B. 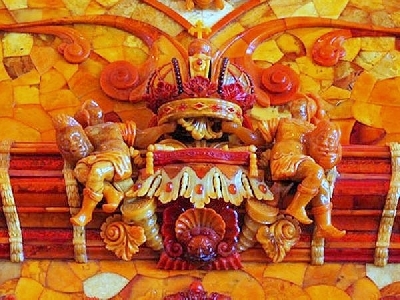 Rastrelli to build a new Amber Room for the Grand Palace in Tsarskoye Selo. 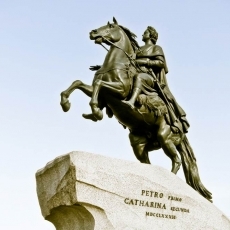 So, a new almost two hundred year epoch of glory of "the eighth wonder of the world" in Russia began in its second home. 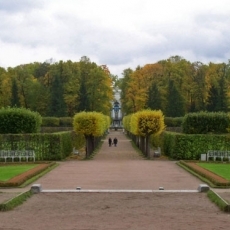 But during the World War II German army broke into Pushkin town, they reached down amber panels and sent to Konigsberg. In 1944, due to the retreat of the Germans, the panels were again taken to pieces, packed into boxes and transported to an unknown destination. 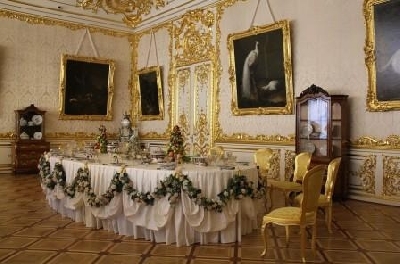 Since that time, the traces of Amber Room are lost. Its searches had no results yet. 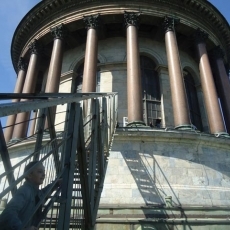 In July 1979, the Council of Ministers of the RSFSR adopted a decision about the restoration of the amber panels, so the works started in 1983 by architect A. Kedrinsky. 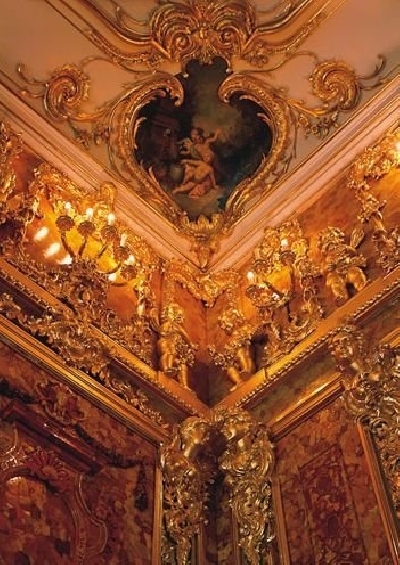 The work upon the recreation of "the eighth wonder of the world" lasted for 24 years, and by the 300th anniversary of St. Petersburg the legendary Amber Room was fully restored and started to receive guests.